Many of us have probably never heard of acetylcholine or perhaps have only heard about it on the context of Myasthenia Gravis and Alzheimer’s Disease. But do you know how important acetylcholine is, especially for an individual’s cognitive function? 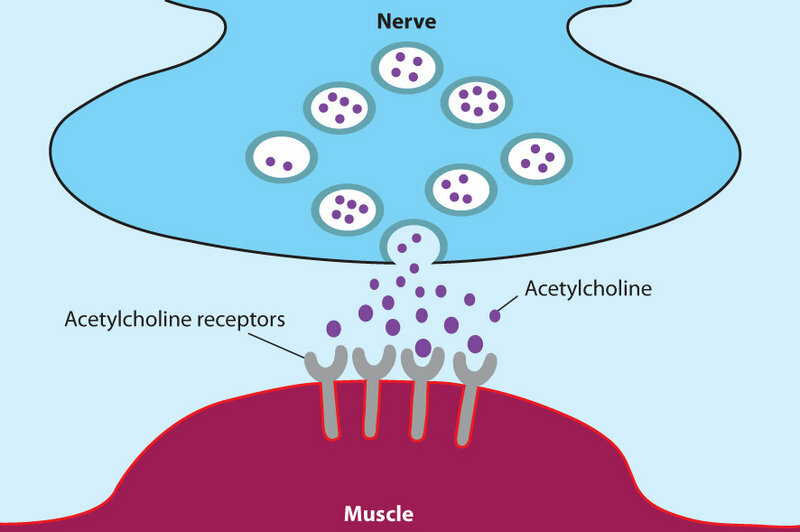 Acetylcholine is a common neurotransmitter and most predominant in the peripheral nervous system. Often referred to as Ach, it can be found in both the peripheral nervous system and the central nervous systems. ACh, or Acetylcholine is an ester composed of acetic acid and choline. It serves as the transmitter or neurotransmitter at many nerve, neural, motor and synapses end plate. When an impulse arrives at the ending of the nerve, it releases the acetylcholine which is stored at vesicles at the nerve ending and it then goes to the end-plate membrane or postsynaptic membrane of the muscle fibre where it combines with a receptor molecule. This causes a change in the membrane and can generate various results. When successive nerve impulses build up, it can cause a specific action such as creating movement or building a memory. Because acetylcholine needs to be produced in adequate amounts, has to be released from pre-synaptic vesicles and have to combine with receptors in the post synaptic membrane for it to perform many of its functions, any disruption in ACh’s production, secretion, and transmission can cause very obvious impairments to the functions associated with it. 1914 is a great year for neurological science, for it was the year that acetylcholine was first identified by Henry Hallet Dale. Later on, the existence of this neurotransmitter was confirmed by Otto Loewi. Both scientists received the Nobel Prize for Medicine/Physiology in 1936 for the discovery of the first neurotransmitter to be identified. What are the Functions of Acetylcholine? Acetylcholine functions as a neuromodulator in both the central nervous system and the peripheral nervous system. It means that it acts on different neurons all over the nervous system. Acetylcholine plays a vital role as a part of the neurotransmitter system in the central nervous system, which is comprised of the brain and the spinal cord. Its main role is centered in arousal and attention; giving rise to the fact that it does play a very special role in cognitive function. For the peripheral nervous system, ACh plays a major part in activation of muscles as a part of its effects on the autonomic nervous system. Because acetylcholine is in the central nervous system, a severe decrease or increase of it can affect one’s ability to get aroused and to focus. This is because ACh in the brain’s cortex acts to make the person more responsive to sensory stimuli. It has also been found that somatosensory stimulation can increase the firing rate of neurons, meaning, ACh aids in the transmission of sensory stimuli or information from the thalamus to certain regions of the brain. In Alzheimer’s Disease, there is a decrease in the concentrations of acetylcholine in the caudate nucleus and the cerebral cortex. The disease is characterized by progressive dementia or memory loss. We can clearly see that in here, the decrease in acetylcholine has resulted in a significant impairment of cognitive function. Arjan Blokjan published an article in a science journal which claims that acetylcholine is the neurotransmitter of learning and memory, but has this been proven? It does appear so. In an animal study published in the American Journal of Clinical Nutrition, permanent enhancement of spatial memory abilities and attention occurred in the offspring of mothers who are given prenatal choline supplementation whereas those who were restricted choline in their diet gave birth to offspring with impaired cognitive function. Since choline is one of the precursors of acetylcholine, we can derive from this study what the effect of acetylcholine is in learning and memory. In the body, there are two primary groups of substances that affect acetylcholine, cholinesterase and the anticholinesterase. From the term itself, anticholinesterase is inhibitory to acetylcholine, and cholinesterase is pro-acetylcholine. Same with cholinergic substances and anticholinergic substances. Anticholinergic substances and medications causes a decrease in the levels of choline, and can likewise decrease the level of ACh. On the other hand, cholinergic substances and medications causes an increase in the levels of choline, a precursor of acetylcholine and thus can increase its level. An example of a group of substances that affect acetylcholine are racetams, which either increase the uptake of choline or positively modulate the signal at the acetylcholine receptors. Feel free to look more into racetams to discover their own unique and individual mechanisms. Racetams do not create more acetylcholine and actually cause an increased demand for free ACh in many cases. This is why many people will combine racetams and choline precursors together.